EDB to PST File 2.3 - Download Win Apps. EDB to PST File tool is Essential for Corrupt EDB File Recovery. Exchange Mailbox EDB file is very precious for the user in face of working with Exchange Server. But sometimes it will create a painful task for the user. User face huge problem when Exchange EDB file get corrupted. 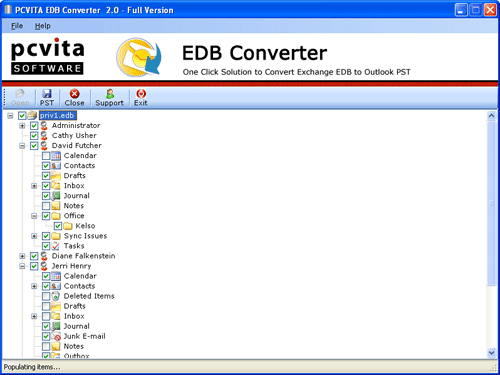 Then user wants an Exchange EDB to PST file recovery Software, this Software convert all the data along with all the components of the file, this will recover all the data within less amount of time along with links and attachments.